A fashion apprentice, Blessing Alex, has been found dead in a well after she was reportedly forced to abort her three-month-old pregnancy. The incident was said to have occurred in Iselle-Azagba community in the Aniocha South Local Government Area of Delta State. 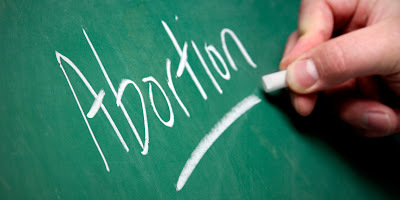 A source told Punch correspondent on Monday that the deceased, who hailed from Ikoto town in the Ini Local Government Area of Cross River State was discovered to be pregnant for one of the villagers, but her parents insisted that she removed the foetus. It was learnt that Blessing, who had gone missing for about 10 days, was found dead in the well in the community on Saturday by members of the community vigilance group. The deceased was to be attached to a sewing institute for further training when she was allegedly impregnated by her boyfriend who is an indigene of the community. Another villager, who identified himself simply as Uche, said the incident had thrown the community into mourning. He added that many thought that the girl might have committed suicide as a result of her parents’ stance on her pregnancy and the depression she suffered after it was aborted. When asked to state the extent of investigation, the Delta State Commissioner of Police, Zanna Ibrahim, said he was not aware of the incident.